Wilmington Island's popular Peter's Quay. Small neighborhood just off Walthour Rd. 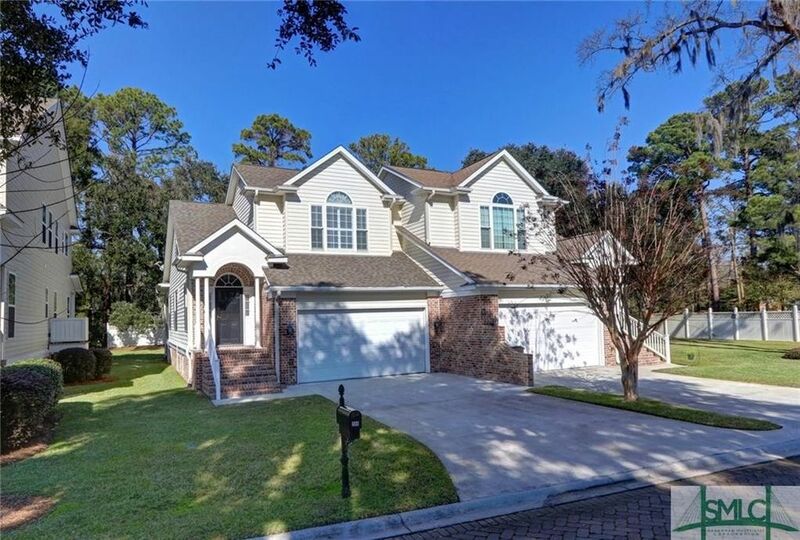 Sought after floor plan offers master suite downstairs with french doors to screened porch- Additional features include tray ceiling, crown molding, 10 x 10 walk-in closet, bath w/whirlpool tub & separate shower. Upgraded oak hardwood floors in Living room, dining room, kitchen and hallway. Kitchen w/ cherry cabinetry, 16"Corian counter tops, stainless appliances and laundry room. Living room w/built-in bookcases, gas fireplace w/logs & cathedral ceiling. Media room/2nd BR, custom built-in cabinets for large screen T/V, shelves, and drop down craft table. New roof. Graceful oak trees enhance your charming brick paved street. Directions: Johnny Mercer to Walthour, Peters Quay on right.